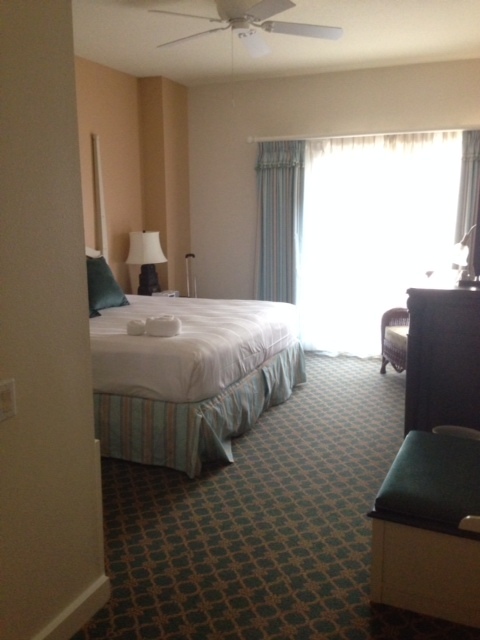 Disney’s Boardwalk Resort Hotel (aka as my favorite Disney resort) helps make Disney come alive for me and my group when we visit! I have stayed at many different resorts (pretty much almost all of them minus Old Key West, All Stars and Caribbean Beach) but only missing out on these three, I am thinking I can safely state a favorite! I used to be 100% a Poly girl until last May when I decided to stay over at Boardwalk to be closer to Star Wars Weekend themed events and a quick walk to EPCOT. It was such an amazing location and resort we opted to stay there again in December. When you drive up to the entrance of the Boardwalk you see a majestic and beautiful resort spread out on a hill. From the front it looks like a Coastal resort and in reality Disney themed it like the Atlantic City Boardwalk from the 1920’s era. When you enter the lobby you will see a beautiful carousel and some comfortable seats and sofas to wait on while you check in. Now one thing about this resort is it can be quite large and spread out, so know your needs and plans. We always request a first floor room that is on the backside so we can scoot out to the boats or EPCOT easy…so yes when we do need to go to the front you may have a little walk but if Magic Kingdom or Animal Kingdom are your main destinations then no problem, just request a room near the lobby. I promise this was never a problem for us…the convenience of EPCOT and Disney’s Hollywood Studios more than made up for any walking to the lobby! 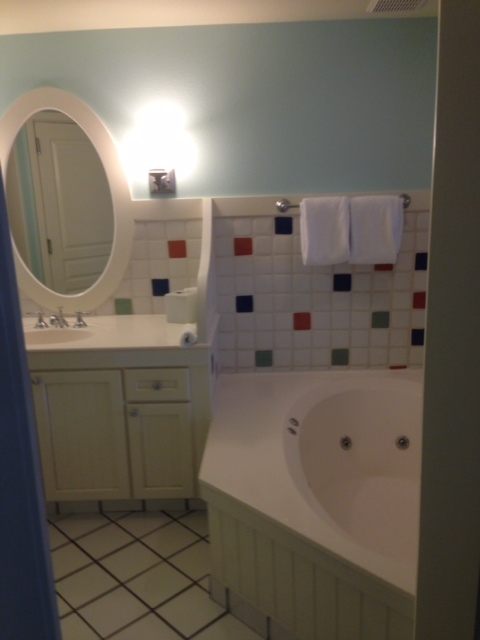 Now in addition to a huge master bedroom there is a two room bathroom (vanity and hot tub are in a completely separate room from the toilet, shower and wash stand) so helps with multiple people getting ready at the same time. Also there is a large living room and kitchen in the same design. They have regular rooms and villas and a special garden suite that if you are ever lucky enough to stay in you must bring me! 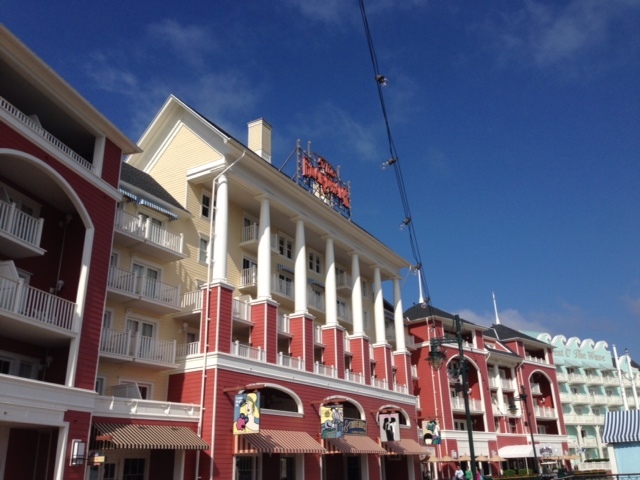 Now for the two most special things about this hotel…the boardwalk and the location. So, to go to EPCOT you just walk right out the back and over to EPCOT in about 5-10 minutes. If you are tired or want to save your walking feet then hop on a Friendship boat and motor over to EPCOT and back. The dock is right outside the Boardwalk’s backside. When you walk out the back to the boat dock what you see may surprise you! It is a whole other fun area of Disney to explore. Some do not even know it is there or know how special it is! There are several amazing eateries including Flying Fish and the Boardwalk Bakery. Also, there are a few kiosks to grab a slice of pizza or hot dog. All around the Boardwalk area are benches and tables to eat or people watch! At nights the place lights up and their are Surrey Bikes to rent and carnival games and tons more! I am not going to tell you everything because you need to visit on your own. Do you love the Boardwalk area? What is your favorite resort? This entry was posted in Disney World, Resorts, Travel Tips, Uncategorized and tagged Boardwalk, Disney's Boardwalk Resort, Epcot, Friendship Boats, Hollywood Studios by Tara. Bookmark the permalink. I had the pleasure to stay at the Boardwalk once and have to concur with you. It was a blessing to be so close to the parks and being able to use the fabled back entrance to EPCOT Center (will continue to call it that). I was to young to appreciate the facade, as it was always just about the rides for me, but now I love and appreciate the detailing and design of the parks and its hotels. I wonder if Boardwalk Empire show has made it an even more popular stay.